If you grew up in the 1970s or 1980s, today might very well have a special significance to you. 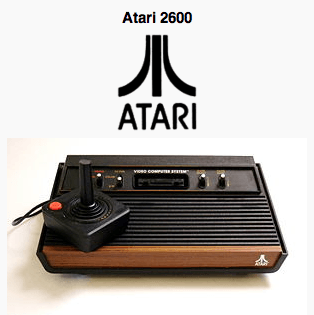 On June 27, 1972, Nolan Bushnell and Ted Dabney filed incorporation papers for Atari, a move that many say single-handedly helped to pave the way for the video game industry as we know it today. Just five months later, the company released Pong in 12 arcades around California followed by a home version three years later. But despite the early success, Bushnell ended up selling Atari to Warner Communications (the same company that merged with Time to create Time Warner) in order to continue development of the Atari 2600, originally sold as the Atari Video Computer System, or VCS. Bushnell stayed on with Atari as Chairman of the Board for two more years, ultimately being run out of the company in November of 1978. In an interview with Time, Bushnell said Warner made a lot of blunders which weren’t good for Atari. In one example, he said Atari was planning to develop a multiplayer video game that would use telephone lines to communicate but Warner executives couldn’t understand why someone would want to play a game with people they couldn’t see. “If we had gone ahead and done it, it could have essentially been the Internet, in private hands. It’s kind of fun to think about owning the Internet,” he said. Atari was a powerhouse during their glory days, a true role model for other Silicon Valley startups. Their success showed others that it was possible to launch a highly lucrative business with a young cast of characters. One such individual was Steve Jobs, who worked at Atari on and off from 1974 until he helped co-found Apple in 1976. The company went on to release several other hit games including Asteroids, Battlezone, Centipede and Pole Position but most point to the ill-fated E.T. The Extra-Terrestrial as the turning point for Atari. What followed has been described as the North American video game crash of 1983 where revenues dropped by 97 percent thanks to an over-saturation of crappy games on the market. Atari was sold again in 1984 and ultimately found success as a game publisher. Bushnell rejoined Atari in 2009 as an advisor and in 2011, the company released Atari Greatest Hits in the App Store. It has been downloaded more than 10 million times and as a bonus, all of the pay-to-unlock games in the app are free to unlock for a limited time.